Our December Leading Lady Kimberly Rendino is back for her sensational second performance! If you missed her smashing debut you must see it...CLICK HERE. 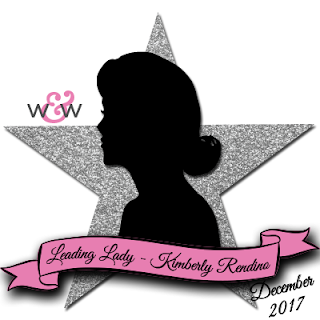 Today's cards show Kimberly can make magic without getting inky! Hello friends! 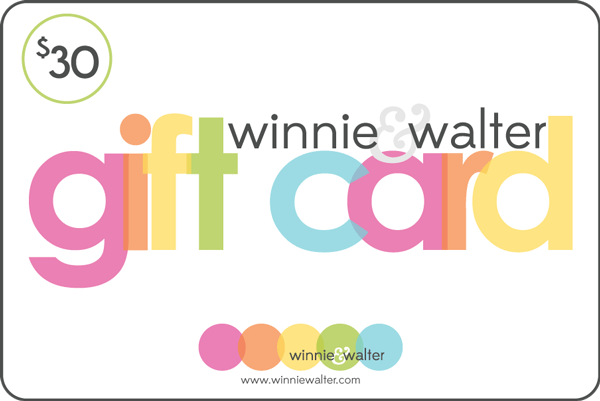 I'm so happy to be back with you again this fine Saturday on the Winnie & Walter blog! Last week I mentioned that I'd be sharing cards that use NO STAMPING for this post. That's right....ZERO stamps! 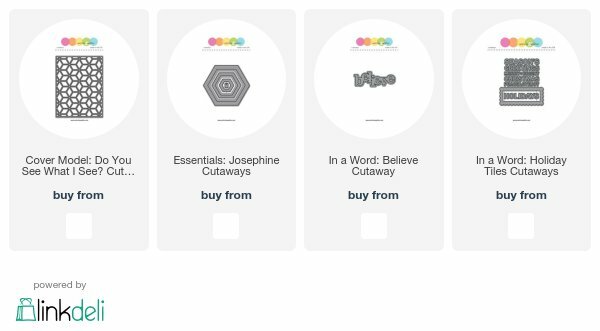 w&w has some seriously awesome dies, and I thought I'd challenge myself to leave the stamps on the shelf this time around! Here's what I came up with! I used the Essentials: Josephine Cutaways as the main focus of this card. First I die cut and then I added some ink blending with Distress Oxide inks. I adhered the frame piece to my card base and then rotated the main hexagon so that the colors appear opposite, and adhered it with foam tape. I die cut the In a Word: Believe Cutaway twice, once from silver glitter paper and once from white, and offset them. See those snowflakes? Can you guess what I used to create them? I used the Cover Model: Do You See What I See? Cutaway, and just cut apart some of the background. I'm convinced there are about a million uses for this Cutaway!!! As a matter of fact, I've used it again on my next card! I die cut the Cover Model: Do You See What I See? Cutaway from kraft paper, popped out some of the diamond pieces and adhered it to my card base. I ran the cutaway through my die cutting machine once again using patterned paper, and added those pieces to the card base. A few gems in the center add a little bling! For the sentiment, I used In a Word: Holiday Tiles Cutaways to die cut the Peace, Love, Joy sentiment from a strip of kraft cardstock. I mounted it on a piece of matching red cardstock to finish things off! I hope you've enjoyed today's cards - I think it's amazing what you can create without using any stamps! Next week I'll be back (with stamps, of course!) sharing cards using sequins as accents! See you next Saturday! Thank you for sharing these fabulous cards!!! I loved the first card & then I saw the second one--oh my goodness! You've blown me away today! Wonderful cards. What a great idea to create a card without stamps. I’m going to give it a try. Brilliant stretching of that cover plate die! Beautiful cards. Beautiful!!! Love the awesome combo of colours of the first one!!! Pretty cards! I love using my dies for card making! Great cards using these wonderful dies. Great ideas! I really like the second version! So cute! Great use of beautiful dies, such gorgeous showcasing! 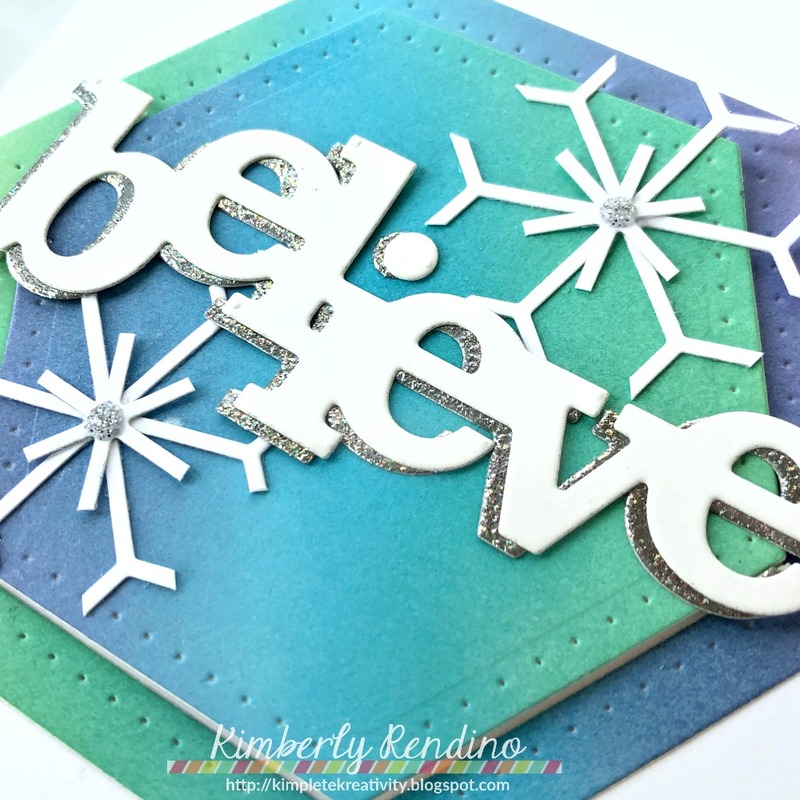 Beautiful cards, Kimberly! I love the touch of glitter and your details! Love your cards. . Very cleaver idea for snow flacks.. These are gorgeous and so delicate! 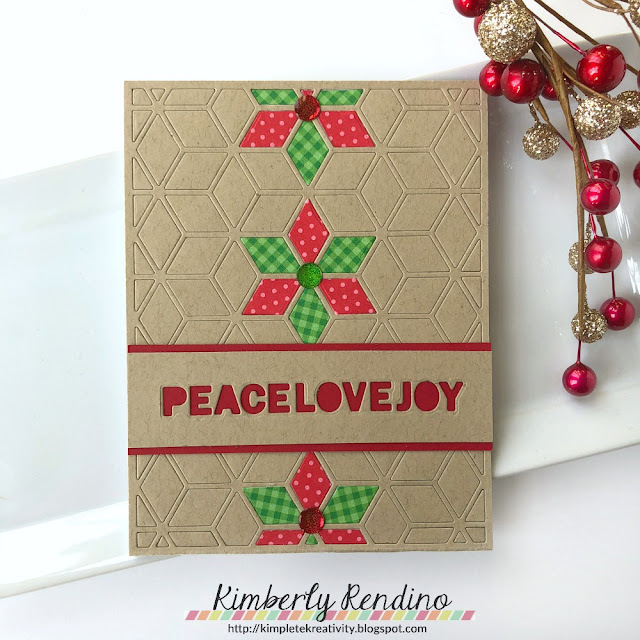 Kimberly did such a beautiful job with that die and I especially love the warm and cozy quilted design!! Wow,these cards are amazing with just dies! I love the ink blended background for the silver glitter paper BELIEVE behind the white one. 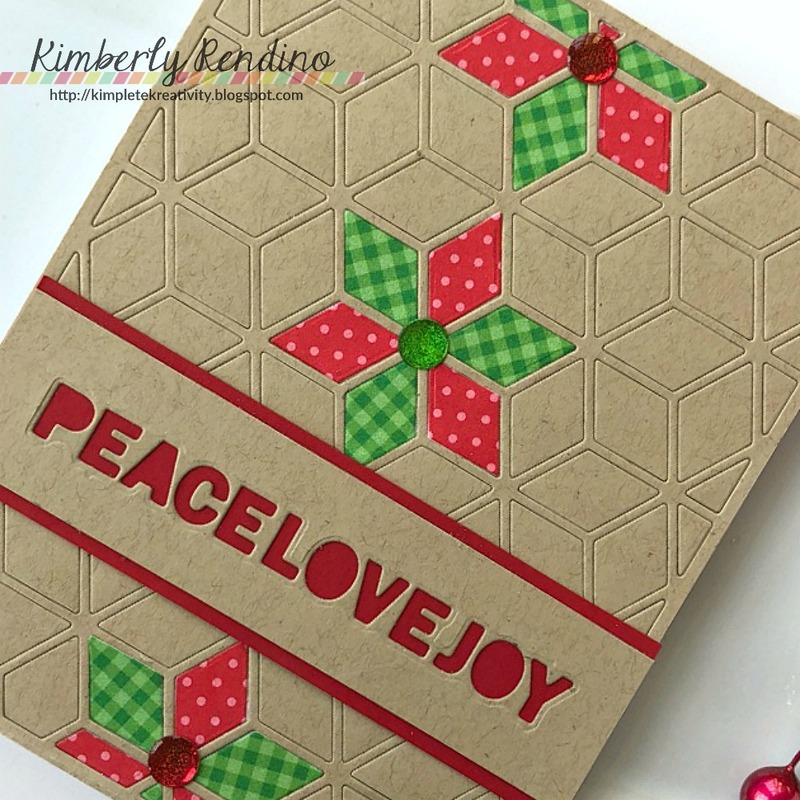 The kraft cardstock cover die with the traditional red and green diamonds inlaid is my favorite, so beautiful!